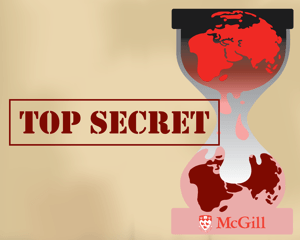 McGill University has filed a motion that would grant it the ability to deny access to information requests from The McGill Daily, The Link, the website McGillliLeaked and anyone associated with them. This comes in response to what the university describes as a “complex system of repetitious and abusive requests” for information. According to the Canadian Access to Information Act, publically-funded, government-run institutions like universities are required to release certain documents to the public when officially requested. The motion, which names 14 respondents, seeks the authority to disregard current requests as well as any future requests made by the respondents or any person who can be linked to them, essentially barring the individuals named from ever submitting ATI requests to McGill. McGill student Christopher Bangs, the founder of the website McGilliLeaked and one of the respondents involved in the case, told The Concordian that he was not only worried about the motion itself, but also the motivations behind it. Bangs also contested the suggestion that the fourteen respondents were operating in collaboration while filing their requests. Julie Fortier, associate director for McGill’s media relations office, explained that the motion is based on current law which allows ATI recipients the right to not answer a request if it breaks certain rules, and that the ATIs in question fall into these categories. Fortier also said that prior to this motion the ATIs in question were not rejected, and that future requests would be denied if they were considered to be of the same nature as those in the motion. The Concordian contacted Chris Mota for comment on the nature, depth and number of ATI requests that Concordia receives, but Mota explained that the school could not comment on the matter.